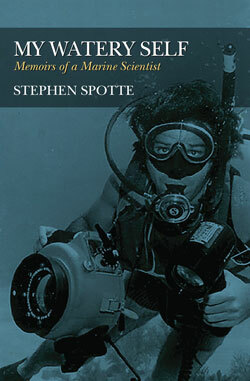 In MY WATERY SELF: MEMOIRS OF A MARINE SCIENTIST, author/scientist Stephen Spotte traces a fascinating trail through a life that began in West Virgina coal camps, drifted through reckless bohemian times of countercultural indulgence in Beach Haven, New Jersey, and led to a career as a highly-respected marine biologist. Together, these stories form a view not just of one man’s life, but that of a generation that often refused to take a direct path to the workplace, insisting instead on a winding unveiling of true self-realization, to achieve previously-unimagined outcomes. For Spotte, the key was water: His years of beach living led to a self-initiated study of literature and the sea. He eventually returned to college and received his training as a marine biologist, and discovered, through his singular voice, a wet and occasionally very weird perspective on the world. His writing is engrossing throughout, the stories he shares–such as his stint as curator of the New York Aquarium at Coney Island at the tail end of the hippie era–are compelling and thoroughly enjoyable as he elevates the people and situations he encounters to mythical levels, blending empirical observation with literary prose. Dr. Stephen Spotte was raised in West Virginia, and after traveling the world’s high seas, he now makes his home in Longboat Key, FL. 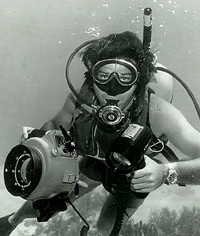 He is the author or coauthor of more than 80 scientific papers on marine biology, ocean chemistry and engineering, and aquaculture, which became the cornerstone of modern aquarium keeping. His popular articles about the sea have appeared in National Wildlife, On the Sound, Animal Kingdom, and Science Digest. Dr. Spotte has been a field biologist for the U.S. Army Corps of Engineers Waterways Experiment Station (Vicksburg, MS); curator and later director of the Aquarium of Niagara Falls (NY); curator of the New York Aquarium and Osborn Laboratories of Marine Science (Brooklyn, NY); director of Mystic Aquarium (Mystic, CT); executive director of Sea Research Foundation and research scientist at the Marine Sciences and Technology Center, University of Connecticut (Groton, CT); principal investigator, Coral Reef Ecology Program (Turks and Caicos Islands, B.W.I. ), and adjunct scientist at Mote Marine Laboratory (Sarasota, FL). His research has encompassed much of the coastal U.S., Canadian Arctic, Bering Sea, West Indies, Indo-West Pacific, Central America, and the Amazon basin of Ecuador and Brazil. Dr. Spotte has published eighteen books, including three volumes of fiction, a memoir, and a work of cultural theory. He is a Certified Wildlife Biologist of The Wildlife Society and also holds a U.S. Merchant Marine officer’s license.